Fish is something I don't cook often and more than curry I prefer to make fish fry as it's always quick and easy. Also my brothers prefer fish fry over curry and now a days I am making fish fry more in Chettinad style though didn't got a chance to click and share the recipe before so this time I made fresh fish masala and this fry and clicked few pictures quickly before it got served. 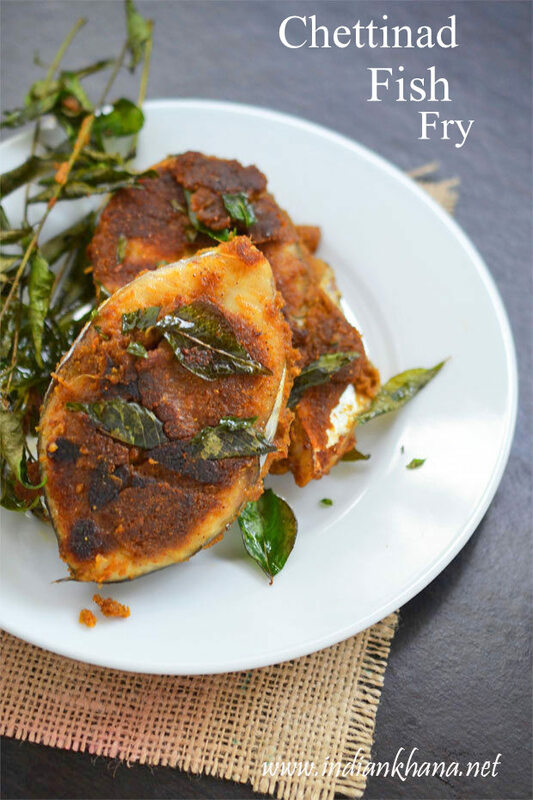 Keeping the Sunday Non-Vegetarian series alive posting this fish recipe, I have pan fried the fish pieces if you wish you can also deep fry them it will be more crispy and delicious of course if deep fried. 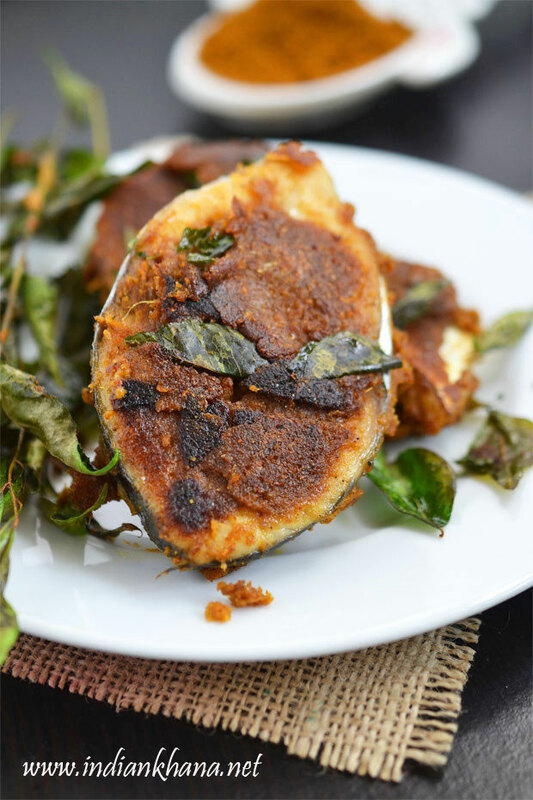 You can check other Chettinad style recipes here. You can also check other Fish Recipes. 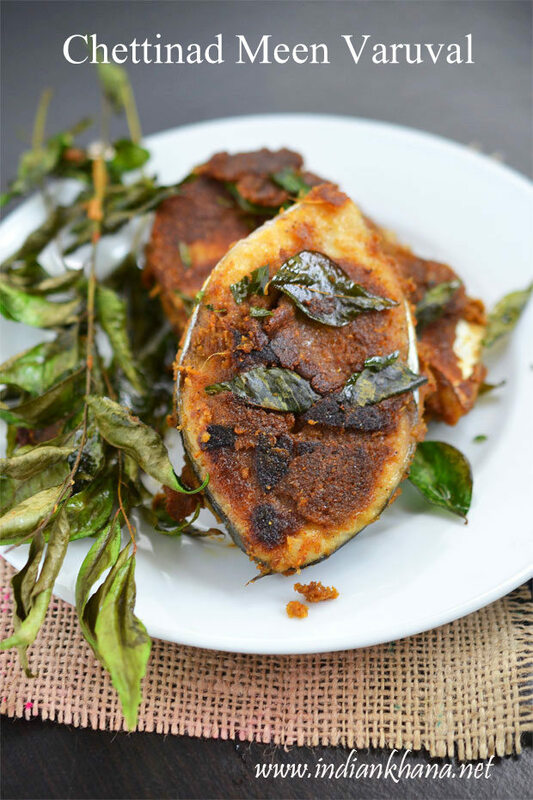 Easy fish fry in Chettinad style with grounded masala. Peel and chop onion, grind onion with ginger-garlic paste (I used fresh ginger, garlic pieces), salt, chettinad fish masala, salt into fine paste without any water. 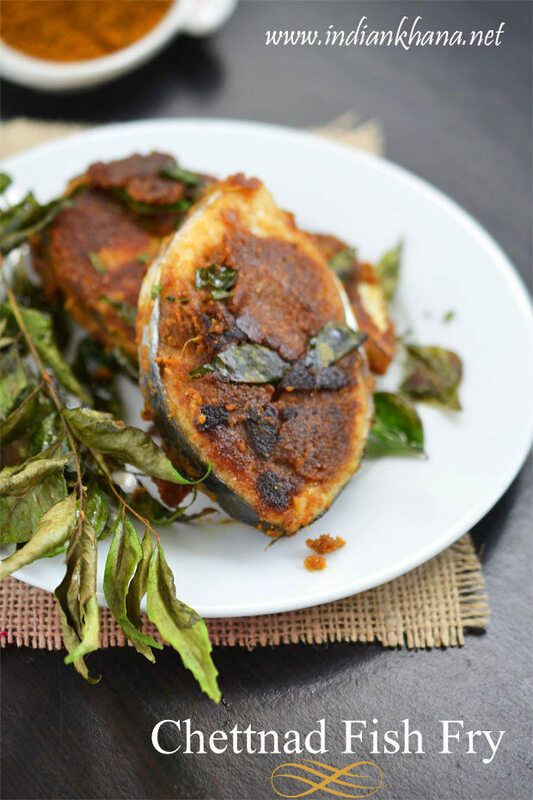 Wash well and pat dry fish pieces, add masala paste, rice flour and apply all over fish fillets in both sides and keep aside to marinate for 15 mins or more if you wish. Heat a tawa or pan and add 2 tsp oil, I place 5-6 curry leaves spring and then place fish pieces on top of curry leaves this way fish pieces get all the curry leaves flavor, you can do this or directly place fish pieces on pan. Drizzle oil on top of fish pieces and cook in medium flame for 5-6 mins or until fish gets golden brown, turn carefully (remove the curry leaves if using), add some more oil on edges if required and cook until fish gets cooked, golden brown both sides. Store hot with rice dal/sambar or rasam. You can deep fry fish pieces instead of pan frying. Use shallots instead of onion if you have it. You can skip rice flour, it helps to add little crispness to the fish pieces. 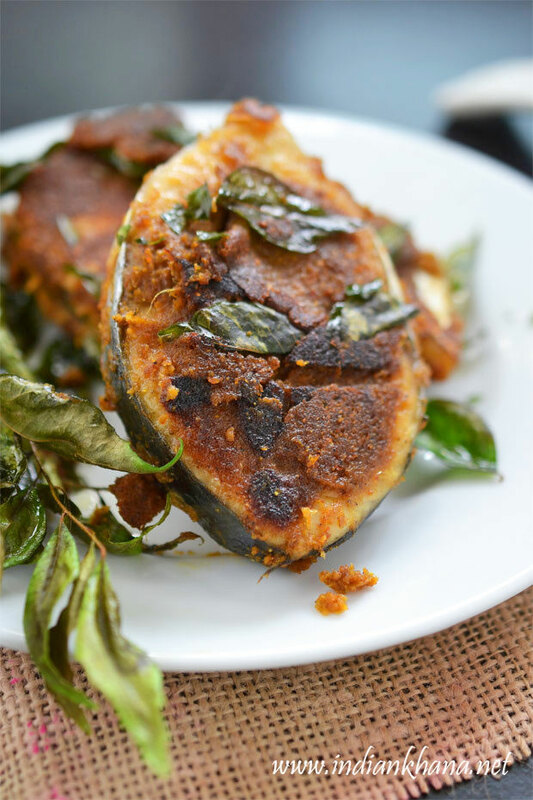 Quick and delicious Fish Fry in Chettinad style.